While the finer details of the 2019 technical regulations are yet to emerge, I thought it would be appropriate to have a look at some of the best tech from this year (so far) before our eyes turn towards next season. This post will primarily focus on the aerodynamics, as has been my focus throughout the year to this point. Truth be told, I would quite like to steer my coverage away from the aerodynamic side of the sport in the future and delve more into the mechanical aspect – I think we’ve all had enough of “tyre wake management”, “outwash” and “vortex structures”. The reason why we don’t see more coverage of the mechanical side is because a) it’s less influential on performance as the aero and b) because it’s often hidden from sight. They aren’t as well documented but mechanical changes probably occur more frequently than any other technical element on the car. Mirror pod design has really kicked on over the past couple of seasons, which is surprising considering the attention to detail spent everywhere else on the car. Ferrari took things a step further at the beginning of 2018 by developing a clever shell design that allows air to flow through the housing and around the mirror inside. By channeling the air in this manner a thin jet is created that disperses the low pressure zone directly behind the mirror assembly and thus reducing chaotic turbulence. While this seems like an original idea, it was found that this concept had already been explored before away from the race track. A research paper written by a University of Miami student in 2014 (which you can find here) provides a good insight into how the design works. The benefits are two-fold: direct drag reduction in the area and more controlled flow over the top of the sidepod. With the flow more predictable, more opportunities with sidepod design are opened, which the Scuderia duly exploited with their unique cooling strategy. Red Bull have since gone on to copy Ferrari’s idea, integrating it with their elaborate mirror assembly introduced for the season opener in Australia. One dog-legged and another straight support fix the pod in position, although there is no doubt that the primary reason for the existence of each ‘support’ is to aid the aerodynamics of the car through and around the sidepod opening. The hype around the appearance of the long-anticipated McLaren nose ahead of the Spanish Grand Prix was most definitely real, mostly because the team were boisterous over its ability to seemingly turn the MCL33 into a podium-winning machine. Turns out it didn’t quite manage that, but it was certainly a very clever interpretation of the regulations in this area. McLaren’s design combines several schools of thought – including their own – into one tidy package. The design blossoms from a conventional thumb-tip layout, with three channels made through it to improve its efficiency. The walls that separate the channels are overlapped by turning vanes inside each cavity so that when a slice is taken in the Y-axis there is only a single cross section, out-foxing Article 3.4.1. The most obvious feature is the cape, which presents a surface for the airflow at the back of the nose to spill over into the low pressure zone underneath and roll into a vortex. Several vortex systems are present in this area of the car – not least the Y250 emanating from the front wing – and in combination they heavily influence the amount of downforce the car can generate across the various modes of car dynamics (pitch, roll, yaw etc.). What’s unique to the overall design are the two barred pieces of bodywork that flank each side of the nose cone. Imagine you are looking at the nose from the side: as the air hits the surface, its path doesn’t continue horizontally – it dives as it rolls over the shoulders of the nose. The bars add an element of control to the airflow over the shoulder, before the structure tapers outwards as it meets the front bulkhead. Take it all in, folks: these front wings are quite possibly the most complex they will ever be in Formula 1 history. From 2019 things will become a lot simpler, with only five eligible elements, a single-piece endplate and no cascade elements. Above is Renault’s latest evolution of the current regulations. Eight elements span the majority of the wing, the unpainted section designed purely to convey the air around the front tyre and manage the wake from the rotating mass, while the small yellow inboard flaps are responsible for varying the level of downforce the wing generates (the top two of these are adjustable). This is a great visual demonstration of just how much of an F1 car’s front wing is actually responsible for producing downforce while the rest is largely there to shift the air in a more desirable manner. 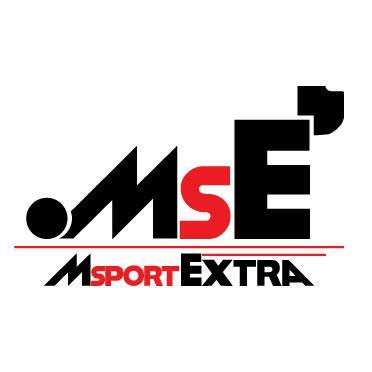 This entry was posted in 2018 Highlights, Technical Highlights and tagged 2018, f1, ferrari, force india, highlights, mcl33, mclaren, mercedes, renault, rs18, sf71h, tech, vjm11, w09 on September 9, 2018 by thewptformula. 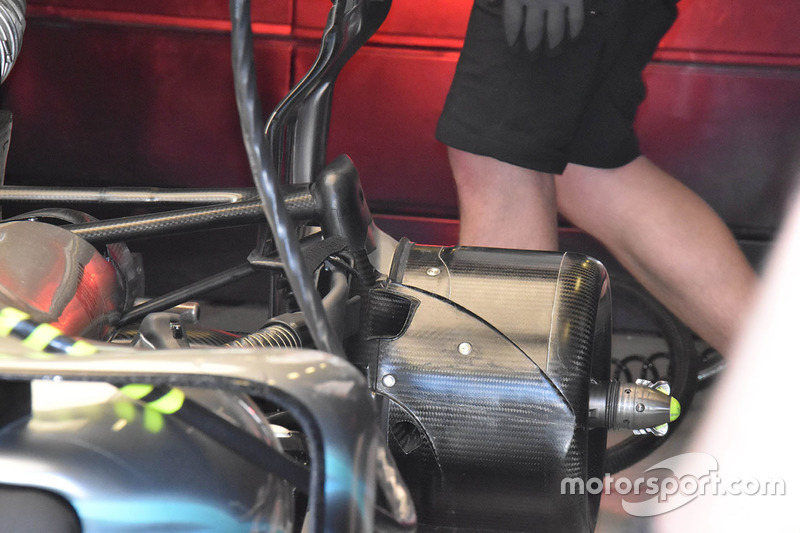 As part of a number of changes under the skin of the car to address the issues they faced last year, Mercedes have added an extension to the rear upright where the upper wishbone joins (here’s an image of it). In my analysis of the Mercedes W09 for Race Fans I mistakenly wrote that the rear upper wishbone design raises the rear roll centre. I must’ve messed up my sketches, as the raised position actually lowers the rear roll centre. Lowering the rear roll centre loads up the rear tyre upon steering input, producing better traction and overall grip amongst other benefits. As with any of these things there are pros and cons of doing this but I won’t delve into them in too much detail here. This post mainly explores how Mercedes have achieved a lower rear roll centre. If you don’t know about roll centres and other suspension related terms then I’ve got a blog post on it here. The above sketch shows how the roll centre (RC) is influenced by the angle and position of the upper and lower wishbones (apologies for the terrible image quality, if you’d like to buy a poor student a new iPhone then please let me know). RC1 is the reference suspension geometry, drawn in pencil. RC2 (blue lines) depicts the effects of the raised upper wishbone Mercedes are utilising. As you can see the substantial height increase from the upright extension slightly lowers the RC compared to RC1. RC3 (black lines) shows that the angle of the wishbones has a much greater influence on the RC, as the upper wishbone is kept in the same position at the upright but its angle to the horizontal has increased. In this case RC3 is higher than both RC1 and RC2. The wishbone angle and position is limited by aerodynamic idealisations, keeping the mass of the car as low as possible and regulations. They all sort of play off eachother too, adding to the complication. The teams often encase the lower wishbone and drive shafts into one aerodynamic fairing, preventing the effects of shaft rotation in freestream air from effecting the performance of the diffuser immediately behind (Google ‘Magnus effect’ for more on this). This limits the height at which the lower wishbone sits, so adjustments to the RC can only be achieved through the upper wishbone alignment and the centre of gravity (CoG). Lowering the RC can be done by angling the top wishbone upwards, but then the air would not pass perpendicularly over the entire structure and the inboard bodywork would have to be raised to cover it. This would be detrimental to the airflow over the car and also induce unwanted lift (i.e. increased drag). Aerodynamics govern the majority of the car’s performance, so we are therefore left with raising the upper wishbone to achieve the desired lower RC. Lowering the CoG is also critical to car performance. The gearbox hosts the rear suspension mounts: machined aluminium clevises that transfer load through to, in most cases, a carbon case. With strength often comes added weight, so ideally the wishbones should be mounted as low as possible while achieving the designed suspension characteristics. It is for this reason that we have seen the likes of Williams’s impressively low gearbox case in 2011. Finally, the location of the single exhaust exit is regulated and limits what can be done with the upper wishbone’s position. The exhaust passes over the mounting point of the trailing arm of the wishbone, but with the mounting point so high Mercedes have had to weld in a bridged section to the pipe to do so. Both aerodynamics and CoG play roles here too, as the mass of the pipe should be kept as low as possible while controlling the exhaust plume’s position and interaction with the surrounding surfaces. This entry was posted in 2018 Highlights and tagged analysis, f1, mercedes, roll centre, suspension, tech highlights, technical, w09, wishbone on March 24, 2018 by thewptformula.